The Power Option is only available when a development tool is connected. 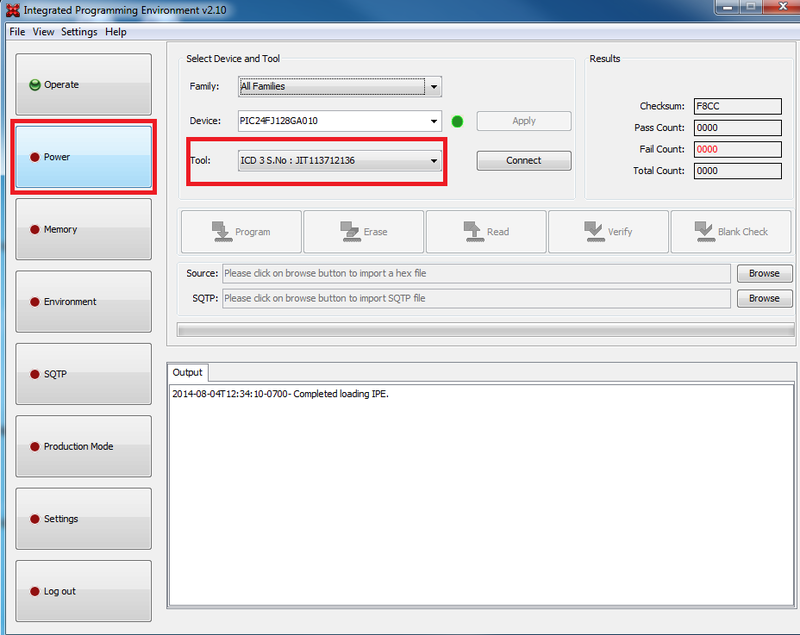 Refer to the Setting Up Programmer page for details on how to connect the MPLAB® IPE to the tool. To view and change the Power Options, first Login to the Advanced Mode. The Voltages Settings in Power Options vary from different device families. 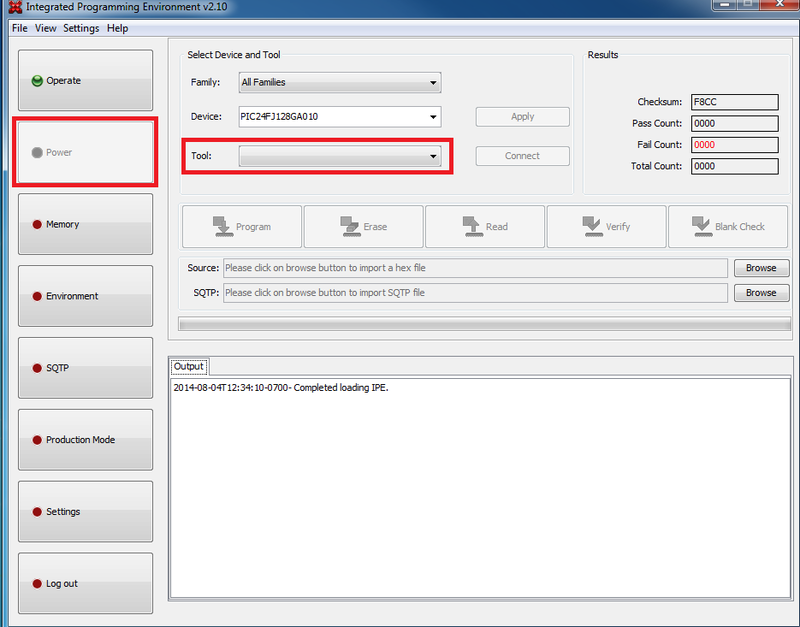 All of the settings and parameters are similar to MPLAB® X IDE. This voltage is used by the programmer to verify memory. The value should be the maximum voltage for the designated circuit. The default is the device's maximum voltage value. programming specification, it may be changed. The default value depends on the device. For example, PIC32 has 3.3V as default VDD Nom. This is the voltage used by the programmer to verify Flash memory. The default is the device's nominal voltage value. The tool allows low voltage programming (LVP) with certain PICXXFXXX Flash devices. 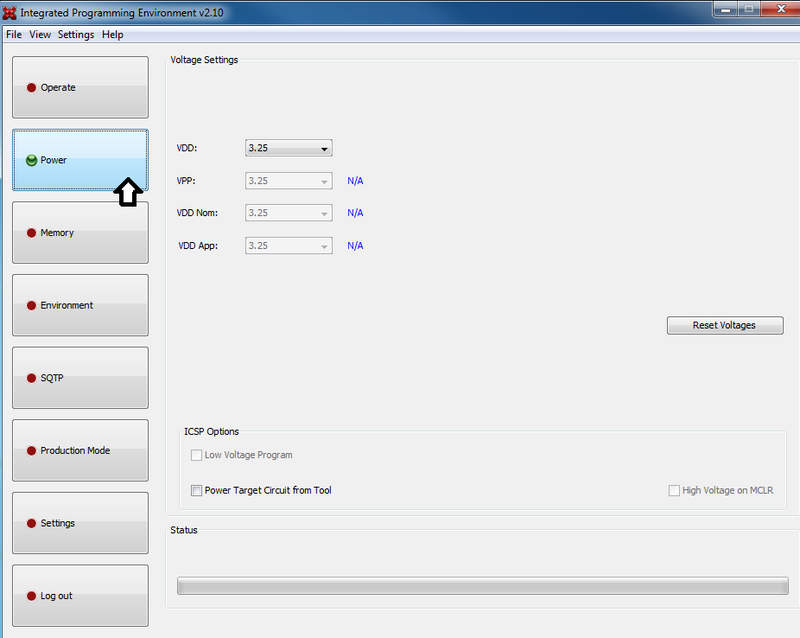 The Flash device selected must be capable of low voltage and programming must be performed in ICSP mode. This setting enables the connected tool to power the target. 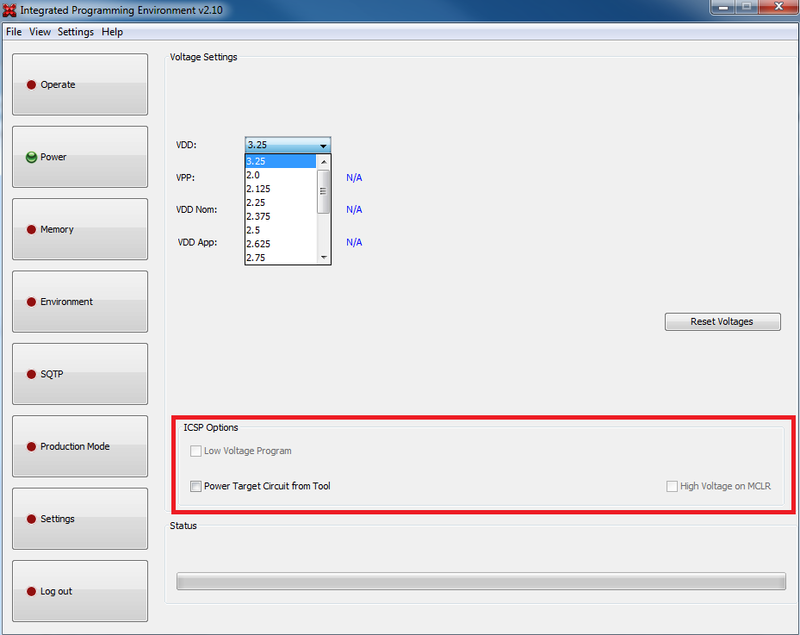 This setting enables high voltage to be used on a Master Clear Reset (MCLR).